The “choking game” — and other clearly ill-advised and dangerous internet challenges — leave many parents wondering what drives teens to take the bait and participate. Now, a new study suggests that an underlying psychological disorder may be one reason why some kids jump at online dares such as the “Bird Box” challenge, where people walk around blindfolded, and the Tide Pod challenge, daring people to eat laundry detergent. 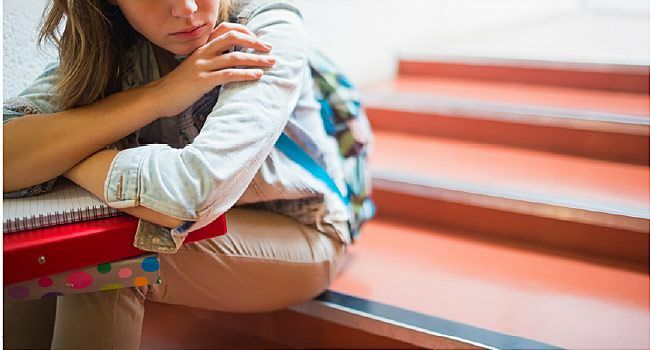 “Parents of adolescents with behavioral problems, as well as parents of depressed teens, need to be aware of this serious problem in order to educate and monitor their vulnerable youth,” said Dr. Victor Fornari. He directs child and adolescent psychiatry at Zucker Hillside Hospital in Glen Oaks, N.Y., and Cohen Children’s Medical Center in New Hyde Park, N.Y. The choking game is a thrill-seeking activity where people self-strangulate or have someone else strangle them to the point of passing out. Supposedly, the lack of blood and oxygen to the brain causes a temporary euphoric feeling before people lose consciousness, the study authors explained. There is also a “rush” when blood flow is restored and people become conscious again. Information on this sometimes deadly practice can easily be found on the internet. In addition to the risk of dying, the choking game may lead to chronic headaches, changes in behavior, recurrent episodes of fainting, seizures, eyedamage and neurological damage, the study authors said.